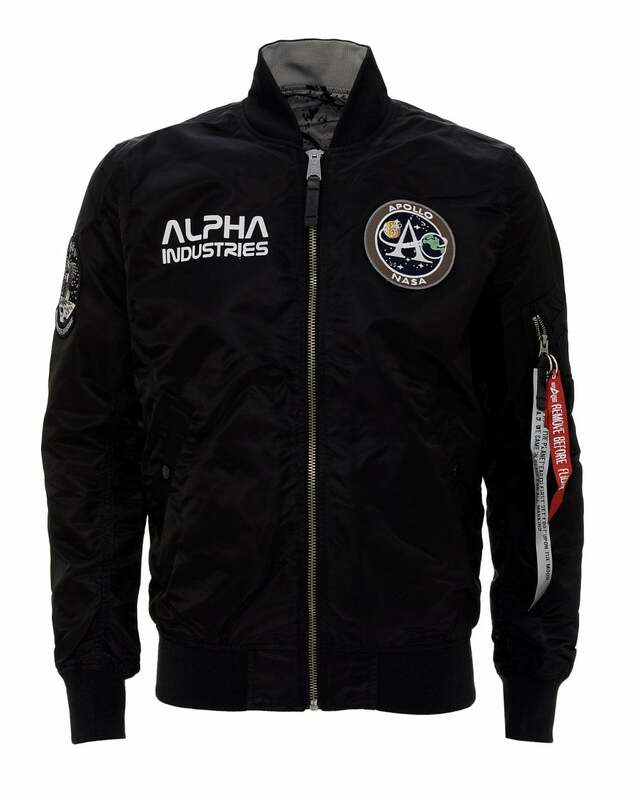 Paying tribute to NASA and wrapped in nylon to reveal a crater-looking pattern inside, this classic bomber from Alpha Industries can be reversed to match your most ambitious styles. Inspired by the 50 year anniversary of Apollo 11, it is a patriotic piece that blends military clothing and outer-space flair. Try it with a pair of black denim and trainers to ensure the jacket does the talking, either with the embroidered black or bold white.